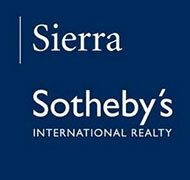 The Tahoe-Sierra Meadows Community Association is the official name for the Homeowners Association in the Sierra Meadows subdivision. Sierra Meadows is located off Old Brockway Road (formerly Highway 267) about one mile south of downtown Truckee and has 528 members. For additional information on Sierra Meadows click here. Ponderosa Palisades is one of Truckee’s most desirable neighborhoods due to itsaccessibility and affordability. Ponderosa Palisades is located one mile from downtown Truckee off of Highway 267, 10 miles to Lake Tahoe and one mile from Interstate 80, just 30 miles to Reno. It is adjacent to Sierra Meadows and Ponderosa Ranchos. Home sites range from .25 to 1.7 acres. Locations include wooded and mountain views. Ponderosa Palisades is a family oriented neighborhood of 400 homes including primary homes, vacation homes and rental investments. Resales are excellent in Ponderosa Palisades due to their location and values. Ponderosa Fairway is Truckee’s only residential area with a 9 hole public (NCGA rated) golf course. It is easily accessed off of Highway 267, one mile from downtown Truckee, 10 miles to Lake Tahoe and 30 miles to Reno. It is also near the Truckee Community Park, tennis courts and baseball fields. With less than 50 homes, Ponderosa Fairway, offers a quiet residential lifestyle that is affordable. Home sites average 1/4 acre. Views range from wooded to golf course with mountain backdrops. Ponderosa Fairway is a convenient location for primary, vacation or rental investment homes.